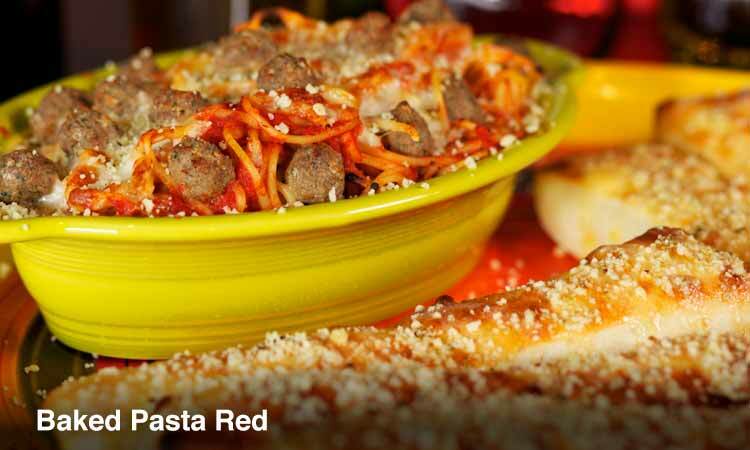 AJ’s American Pizzeria in Woodland Park, Colorado offers a variety of delicious flavors to satisfy everyone! 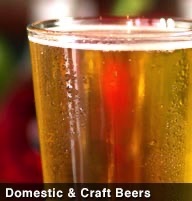 Call or visit AJ’s today and see how we’re Making Quality, Easy as Pie. 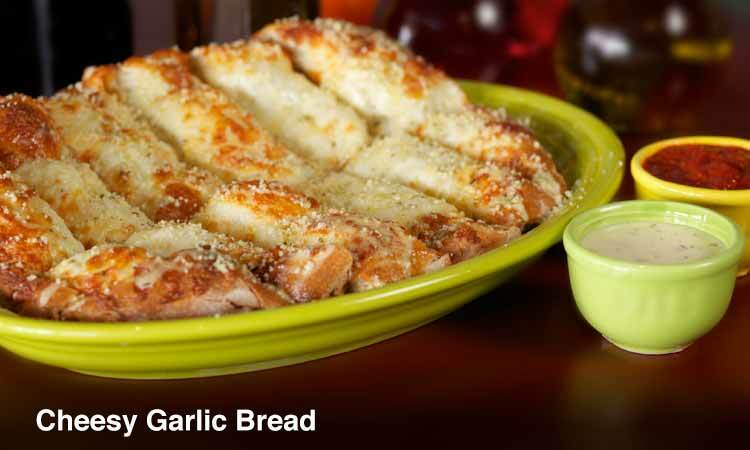 Baked to perfection in our Stone Oven; served with ranch or marinara dip. 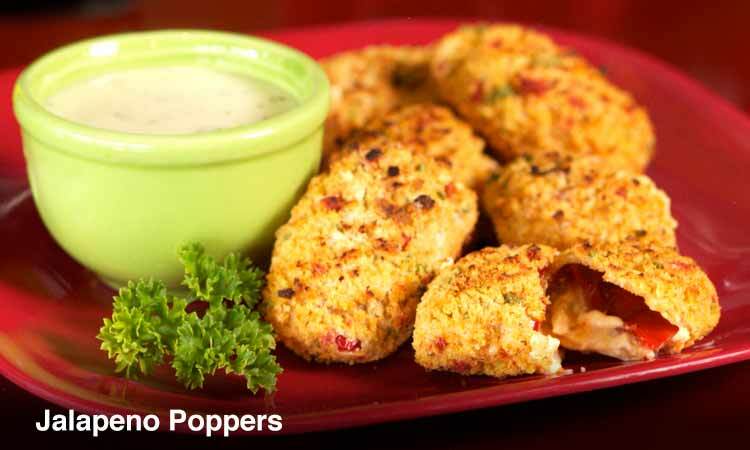 Stuffed with cream cheese; served with ranch or marinara dip. 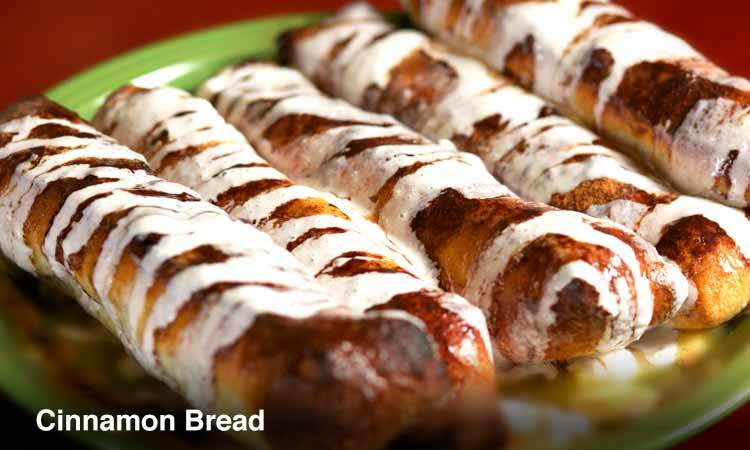 Fresh baked Bread Sticks are coated with our special seasoning, parmesan and garlic; served with ranch or marinara dip. 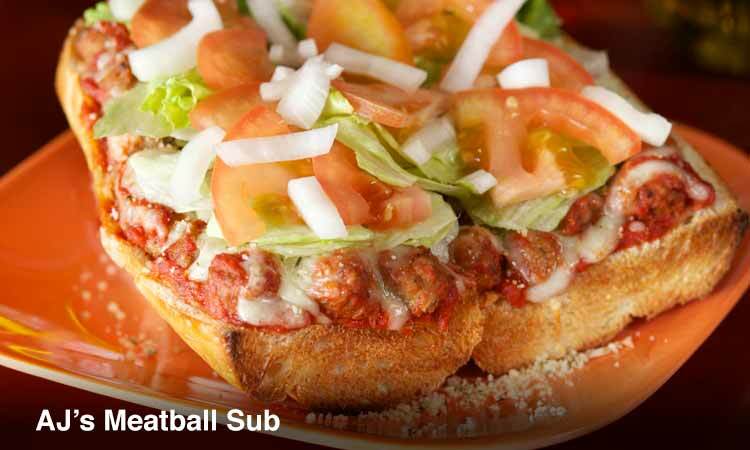 Fresh baked Bread is topped with our special seasoning, butter and parmesan and covered with melted mozzarella cheese; served with ranch or marinara dip. 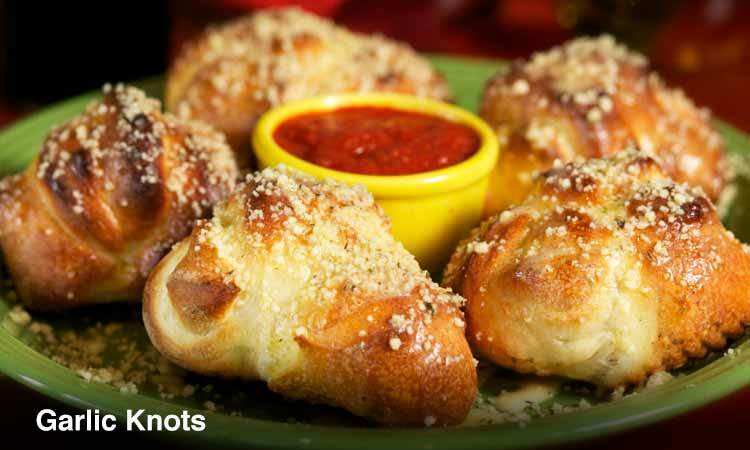 Twisted Stone Oven Baked Bread Knots, topped with our special seasoning and parmesan; served with ranch or marinara dip. 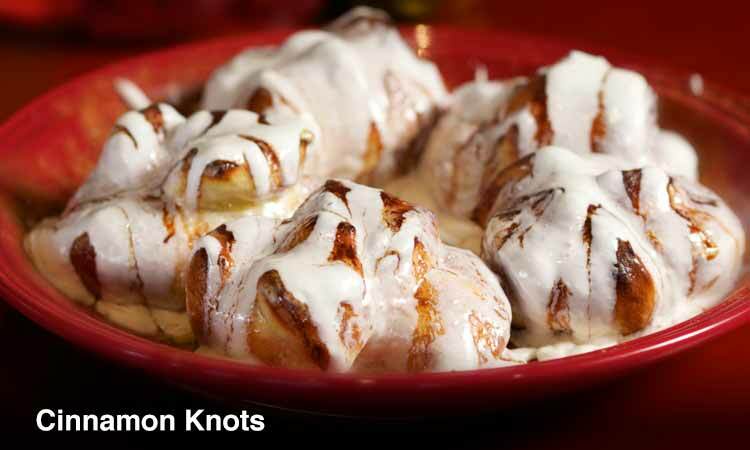 Your Choice of Sticks or Knots covered with cinnamon and sweet icing; served with warm butter dipping sauce. 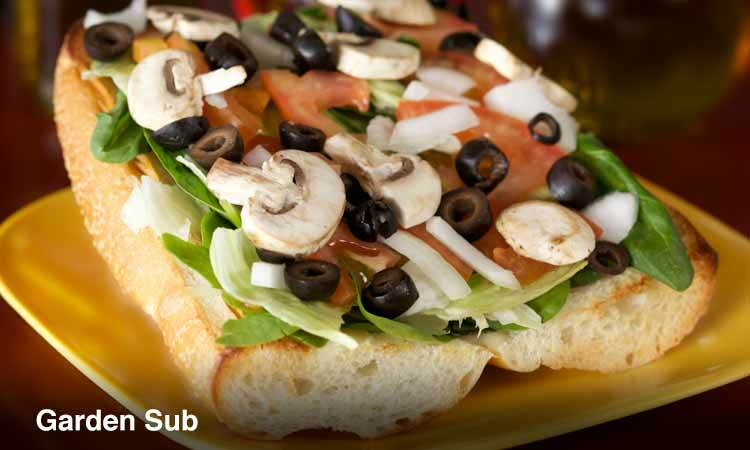 Fresh bed of house mix greens topped with tomatoes, onions, mushrooms, and black olives. 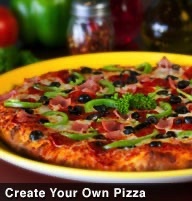 Ham, pepperoni, salami, onions, green peppers, tomatoes, mushrooms, black olives, topped with Mozzarella cheese. Crisp romaine lettuce with freshly grated parmesan, creamy Caesar dressing and croutons. 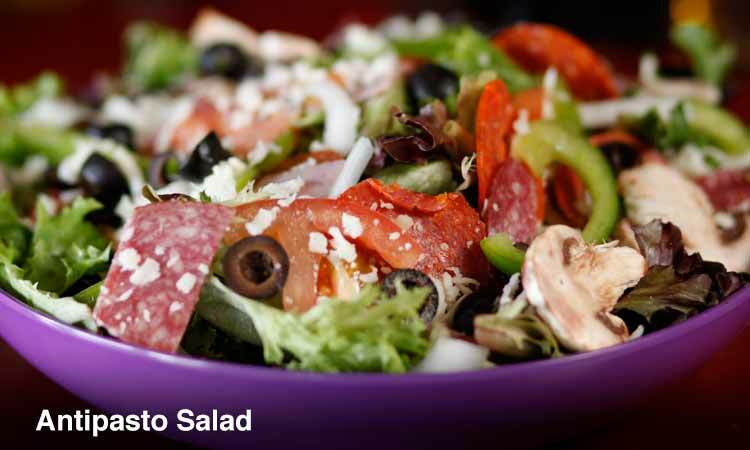 Up to (6) toppings bedded on your choice of fresh greens. Ranch, Italian, Thousand Island, Blue Cheese, Caesar, and Raspberry Vinaigrette. 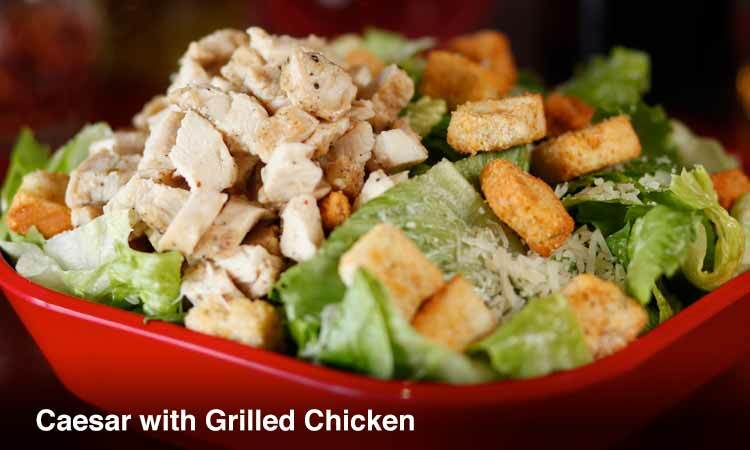 Freshly prepared Salads come bedded with your choice of House Mix, Romaine, Crisp Iceberg, or Spinach. 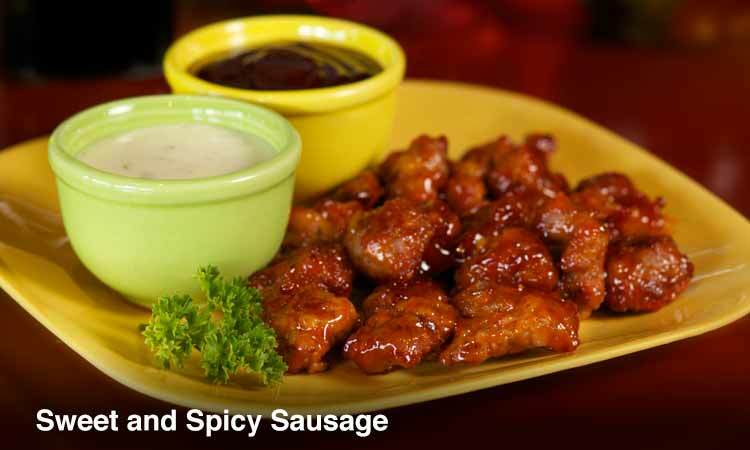 Available in a Large portion or Regular portion. 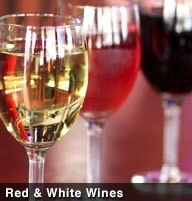 Our Pasta dishes are topped with red or white sauce, Mozzarella and Parmesan Cheeses, and Stone Oven baked until bubbly. 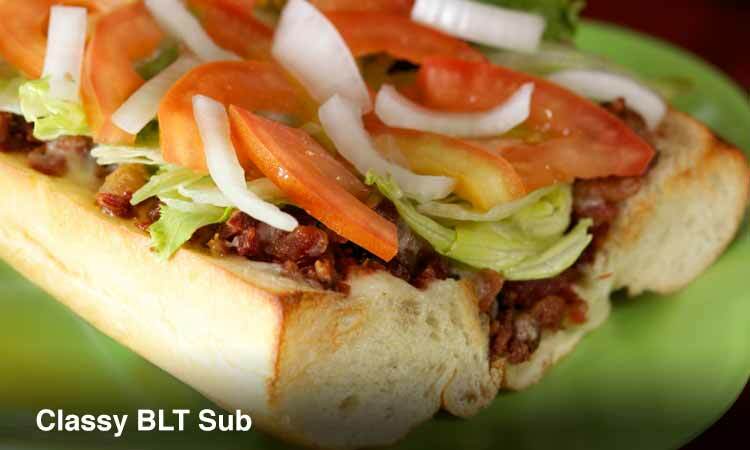 Toasted in our Stone Oven with marinara sauce, mozzarella cheese, and topped with lettuce, tomato and onions. Baked to perfection. 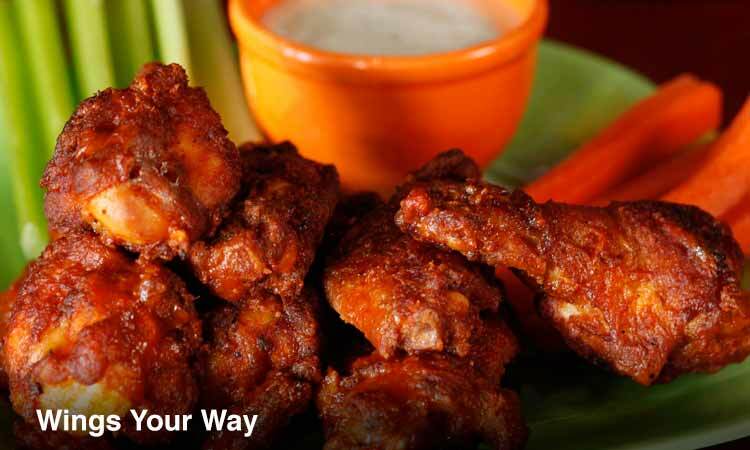 Served with celery, carrot sticks and your choice of sauce. All of our freshly made Pies are prepared on Thin or Original Crust, Stone Oven Baked and served with your choice of special Dipping Sauces (pick two for a large). 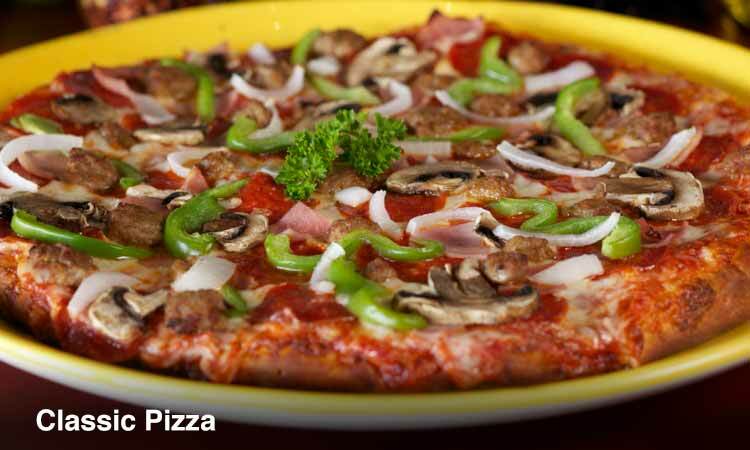 Pepperoni, ham, sausage, green peppers, mushrooms, and onions. 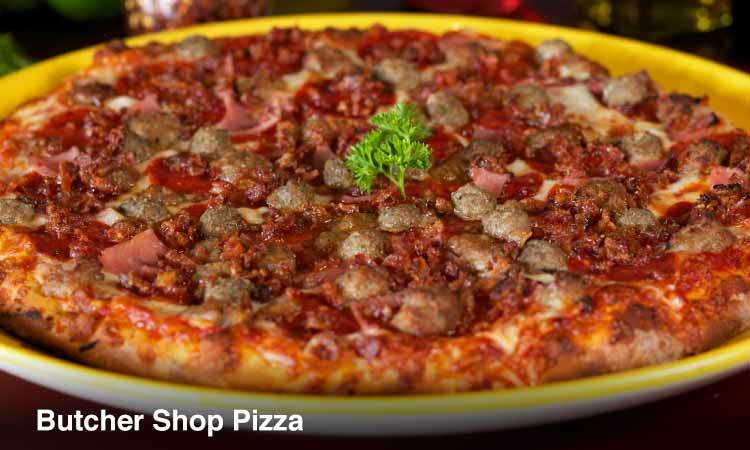 Pepperoni, meatballs, sausage, ham and bacon. 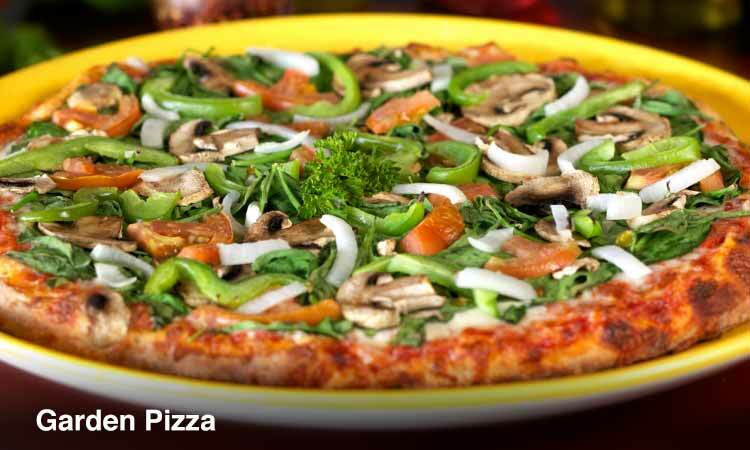 Spinach, mushrooms, onion, green peppers, and tomatoes. 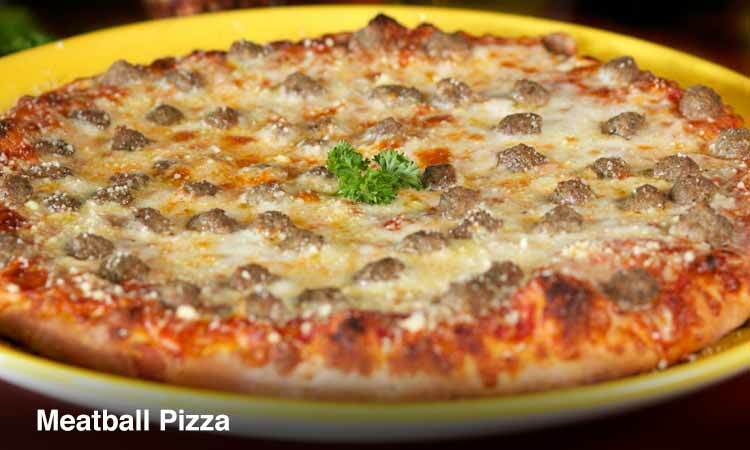 A mouthwatering pie offered with Alfredo or marinara sauce, topped with mozzarella, juicy meatballs, and parmesan cheese. 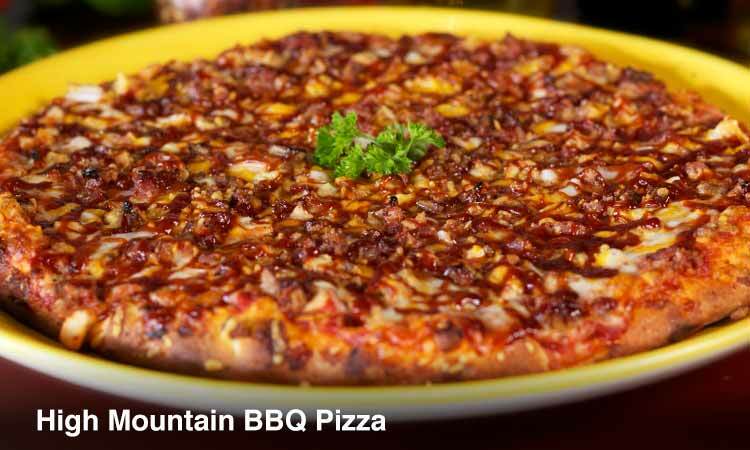 Our BBQ sauce pie is topped with grilled chicken, bacon, onion, cheddar and mozzarella cheeses. 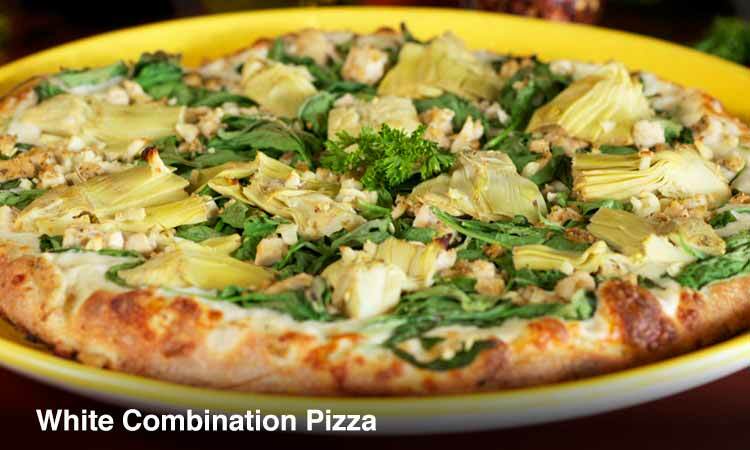 An Alfredo sauce pie topped with grilled chicken, spinach, artichoke hearts, fresh garlic, and mozzarella cheese. 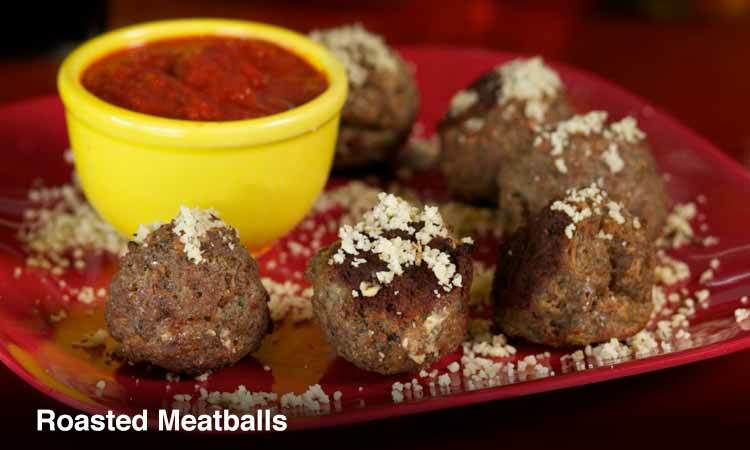 Finished with our Special Seasoning and parmesan cheese. Tell us how you like your Pie!! 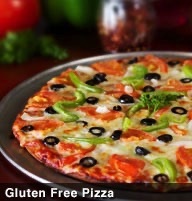 The Gluten Alternative is made on an Outstanding Crust enhancing any of our already Fresh Pies.